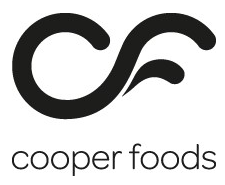 Cooper Foods are a food service specialist based in Andover, UK. With large seafood processing and butchery units the company can offer their customer base a diverse range of products. The company have a reputation for responsible sourcing as well as top quality service and product. Cooper Foods implemented a Season Office and Factory package in 2014. Since then the company has grown, including a new premises which is being expanded upon again. This month we caught up with the company to see how Season has impacted the business thus far and what the plans are for the future of the business including embracing the online market place. Simply click the video below to watch. We would like to take this opportunity to thank Mark, Will, Jacqie & the entire Cooper Foods team for their continued partnership. We look forward to continuing the trend of growth with them long into the future.